Under the Skilled Migrant Category (residence), the points criteria have been re-aligned to reward the best labour market outcomes. These changes will allow higher-skilled and higher-paid sectors to continue to recruit skilled migrants within the overall residence planning range. Lower paid occupations mainly in the hospitality, retail, and lower qualified ICT jobs are likely to be affected. Changes mean migrants need more work experience and seniority before they can meet the SMC salary and points criteria, especially those in manager positions. 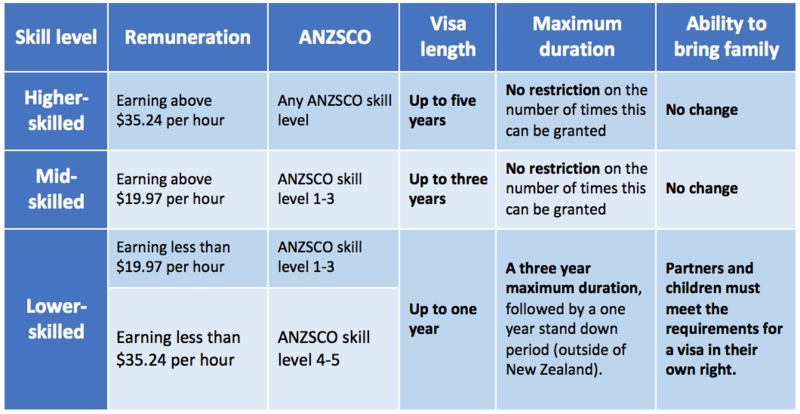 Employers may still support a worker in a role paid below the threshold as a temporary worker but they will have to show there are no New Zealanders available. Find out now if you are eligible under the Skilled Migrant Category or for an Essential Skills Work Visa.